Remember this? I bet the first time you saw it in December you laughed this picture off, but it's okay so did I. And if this is the first time you're seeing this, don't dismiss it just yet! Because, well, the harsh truth is that its all real. And this market cycle, believe it or not, is present in every market out there, including these Bitcoin & Altcoin markets. If you haven't already, check out my previous posts earlier this year about trading Bitcoins and Altcoins, which highlight technical analysis basics, fundamental analysis frameworks, margin trading, and tips on developing a cryptocurrency trading strategy and TA. Here, I just want to point out the importance of understanding market structure, introduce you to market manipulation, and show you how technical analysis can be applied to your cryptocurrency trading. 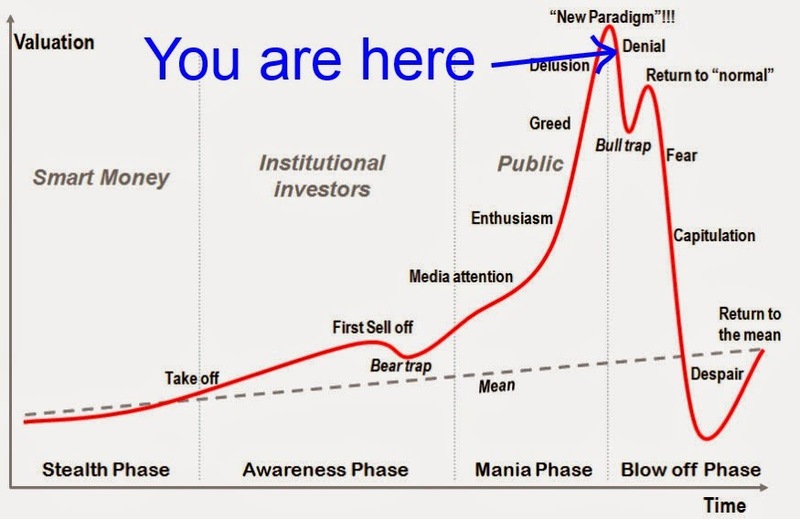 Know what the "smartest man in the room" is doing, and follow the "smart money"
If you compare the psychology chart above and the Pump & Dump cycle pointed out by Wolong, to the market structure chart below, you can see how they have very similar structures even though they use different terms to explain the phases. Although many people disregard the profitability (or possibility) of using technical analysis to trade the Bitcoin and especially Altcoins markets, it is most definitely possible. I think the problem lies predominantly in the limitation that some of you have put on the term 'technical analysis'. Every piece of information on that chart you use is part of technical analysis; but the bigger question is how to make sense of it all. To better understand TA, we should think of the price charts as simply a graph of human behaviour. Although the tools to do so efficiently are sorely lacking at this point in time, here's just a few examples of TA used on Altcoins and Bitcoin. 1) Markets are fundamentally fractal in nature; for every one up or down trend, you can zoom in/out too see the same wave cycles. 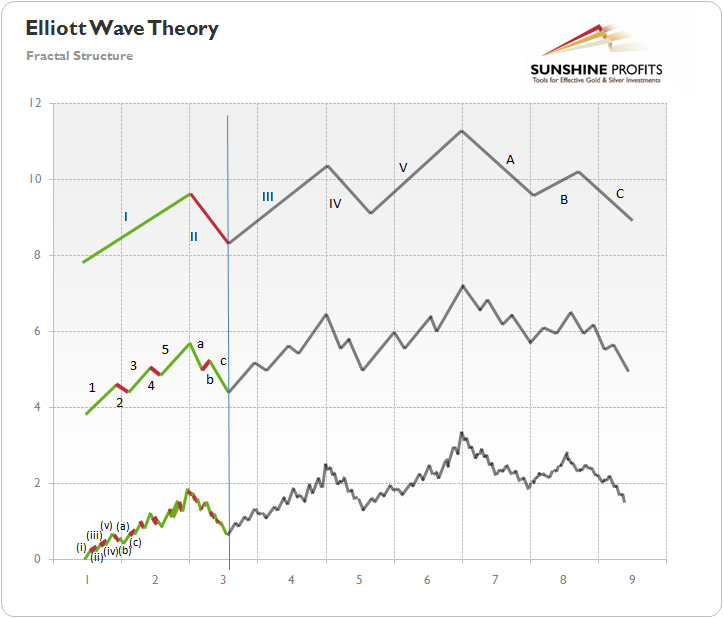 Read more about Elliott Wave Theory here. 2) Price charts are merely a graph of human behaviour. It doesn't matter if you're looking at a 3h chart or a 30m chart, they all tell the same story. 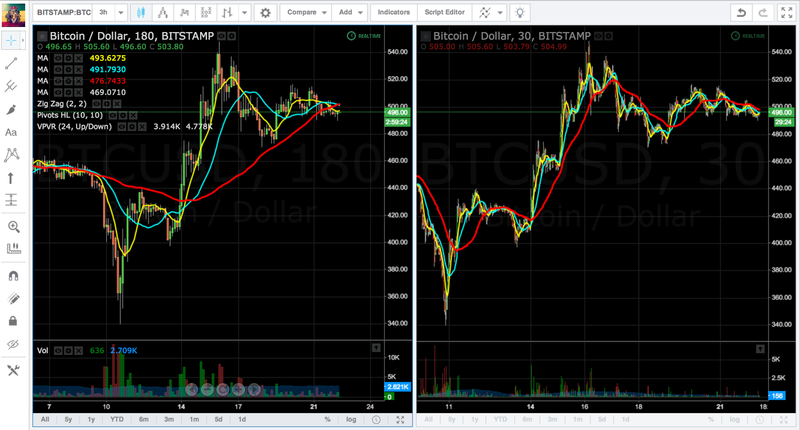 Make sure to always compare two different time frames to better understand the macro and micro trend. 3) All markets are linked to each other, and affect each other in a dynamic fashion to create one over-arching ecosystem. Don't forget those crash cycle charts I showed you at the beginning; they're everywhere. 4) All markets are manipulated. Ride the waves and profit with the whales; don't fight the macro trend. With that, I'll just end off with a few words of wisdom. First you know. Then you learn. Then you don't know. Great article man. I can't afford the trading class, but this is really helping to tach the basics. Have you thought about the next scale up? As in, what the emergence and life of the cryptomarkets themselves represent? It's an interesting conceptual road to travel. This has to be one of the best articles i have seen within this topic! Amazing work and an amazing follow up, I enjoyed reading / looking at the charts (which helped) the whole article. No updated for almost 4 months, unsubscribed. Very nice content posted regarding technical analysis of bitcoin and cryptocurrency. Thanks for sharing this great info!